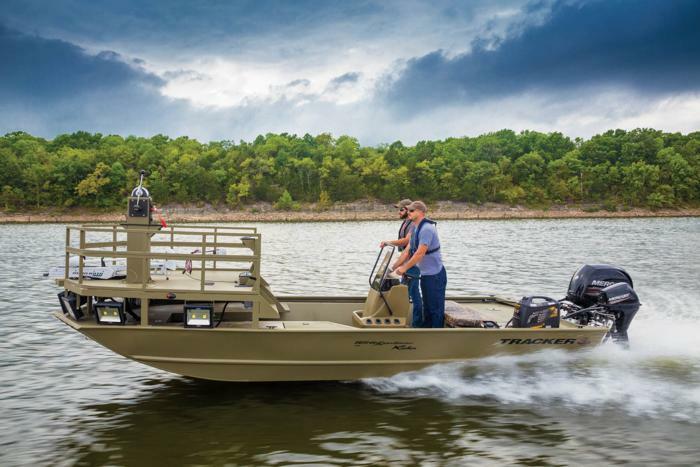 With the TRACKER® GRIZZLY® 2072 CC Sportsman Kicker, a 9.9HP Mercury® kicker motor on the transom is controlled by a bow-deck-mounted binnacle throttle, and it folds down for transport and storage. An onboard generator powers the LED lighting for all-night targeting, and the Minn Kota Riptide Fortrex SF 36V trolling motor gives you precise and powerful boat control. 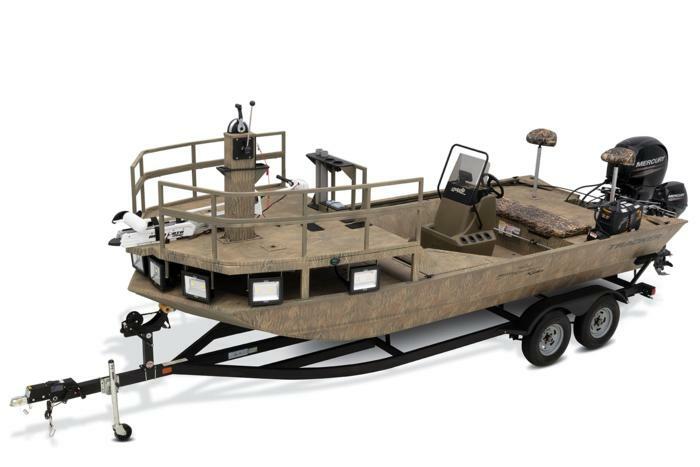 100% aluminum construction with a .100 hull and .190 floor guarantees durability, and the hull, stringer, transom and decks are all-welded to for a rock-solid, unitized structure that can withstand tough fishing and hard work. Because of this, we back it with the TRACKER Promise—the best factory warranty in aluminum boats.